Here's the decaf eye-opener you need in the morning. 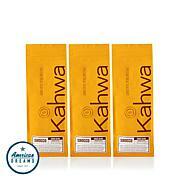 This medium dark roast blend has a hint of dark chocolate and lots of taste without the caffeine. Rise and shine, coffee's on. This item cannot be shipped to customers in California. 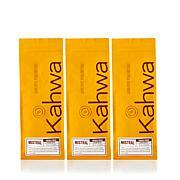 For the coffee aficionado or novice, Kahwa Coffee offers a line of whole and ground coffee and espresso products. 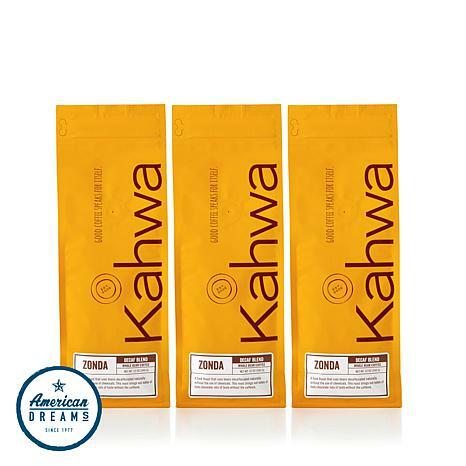 Hand-selected 100% Arabica beans are blended first and then roasted to deliver complex flavors in each cup. 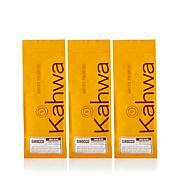 Kahwa Coffee combines passion and expertise to produce fresh, aromatic coffee that will delight all palates.